It’s not just a barge, it’s a Damen Barge. 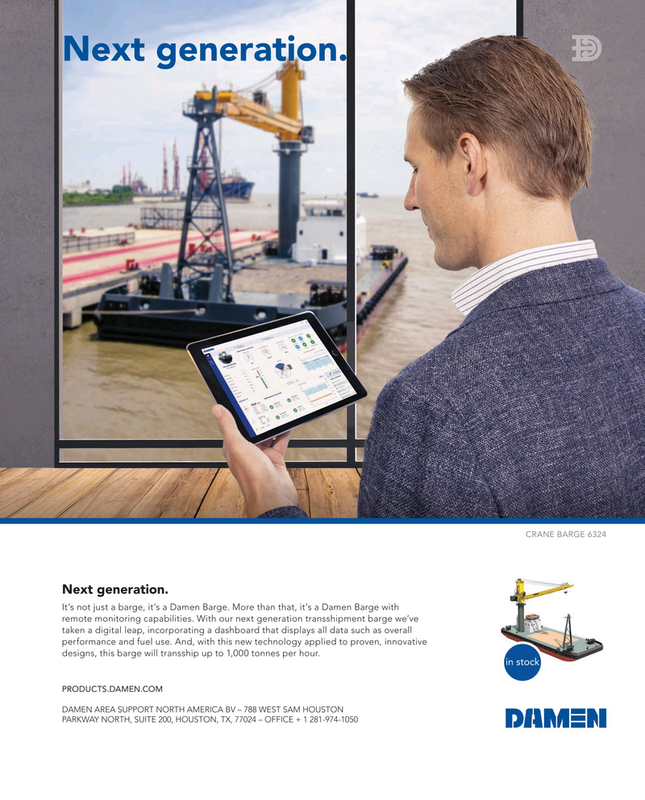 More than that, it’s a Damen Barge with remote monitoring capabilities. With our next generation transshipment barge we’ve taken a digital leap, incorporating a dashboard that displays all data such as overall performance and fuel use. And, with this new technology applied to proven, innovative designs, this barge will transship up to 1,000 tonnes per hour.